Note that the lounge is for departing passengers only; you wouldn't for example have access to the lounge purely as an arriving Qantas First Class passenger connecting onwards to a domestic flight, unless you have Qantas Platinum or oneworld Emerald frequent flyer status and your next onward flight is a oneworld flight. On the other hand, you do have access to the lounge if you're departing LAX in Cathay Pacific First Class, since you qualify based on class of service and are departing on a oneworld operated flight. 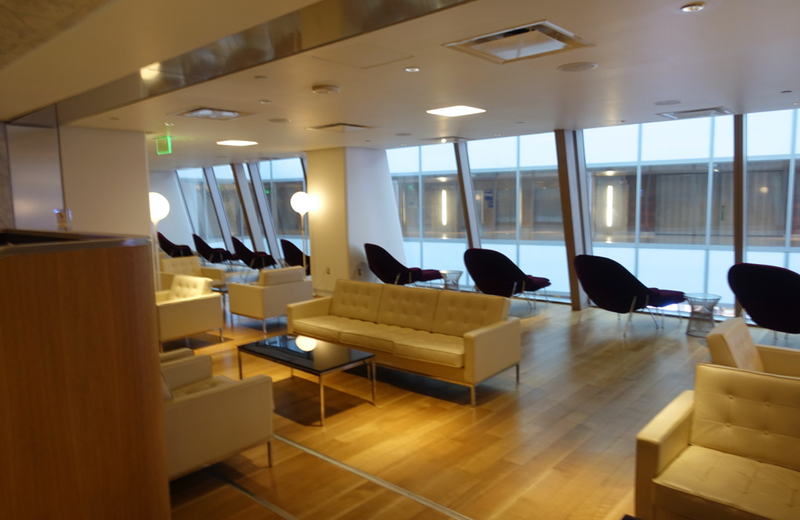 You would also have access to the lounge even if you are departing LAX domestically on American Airlines and will be connecting to a oneworld First Class flight later that day, as long as it's all part of a single itinerary. 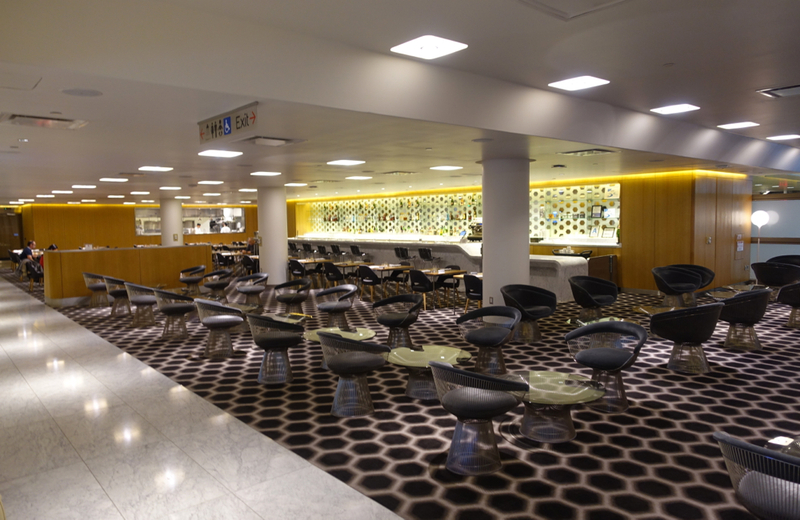 In December 2014, Qantas opened its new LAX First Class Lounge to much fanfare. 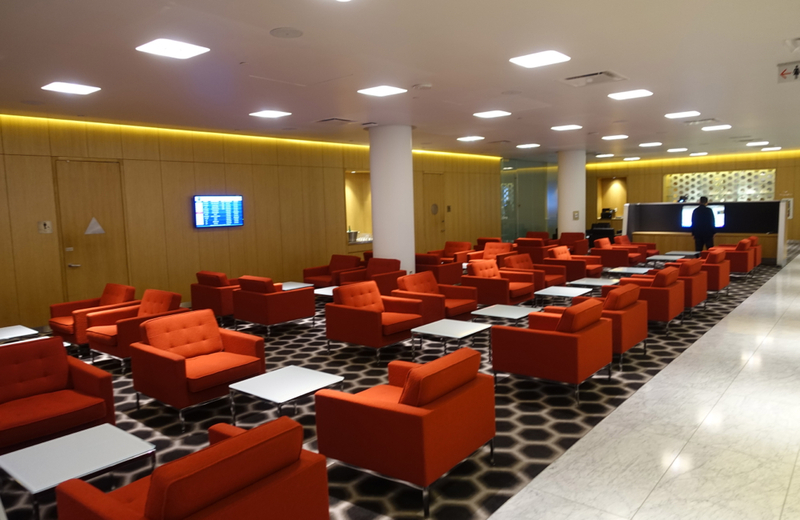 As the press release noted, the Qantas CEO believes the lounge is the best First Class lounge in North America, with service comparable to the best 5-star hotels. Since its opening, the lounge has received many favorable reviews, opining that the lounge is indeed the best in North America. After my less than amazing flight on Qantas from Sydney to Los Angeles, I stopped in the lounge before boarding a connecting flight to San Francisco. 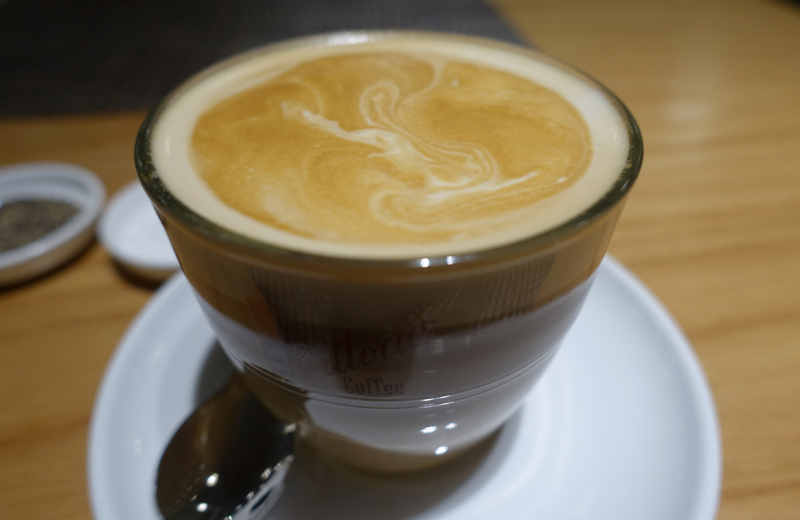 I was aware of all the press hype, but after my experience with other Qantas products, including the Sydney First Class lounge, I was beginning to wonder why I was out of step with general consensus on Qantas, and I was still eager to be wowed. The lounge is similar to the Qantas lounge in Sydney, with seating for 200 persons, and is designed by Australian designer, Marc Newson. Features include Californian Knoll furniture selected by Marc Newson, and lovely carrara marbled floors. There is also a stunning, brightly-lit 48 foot-long bar. 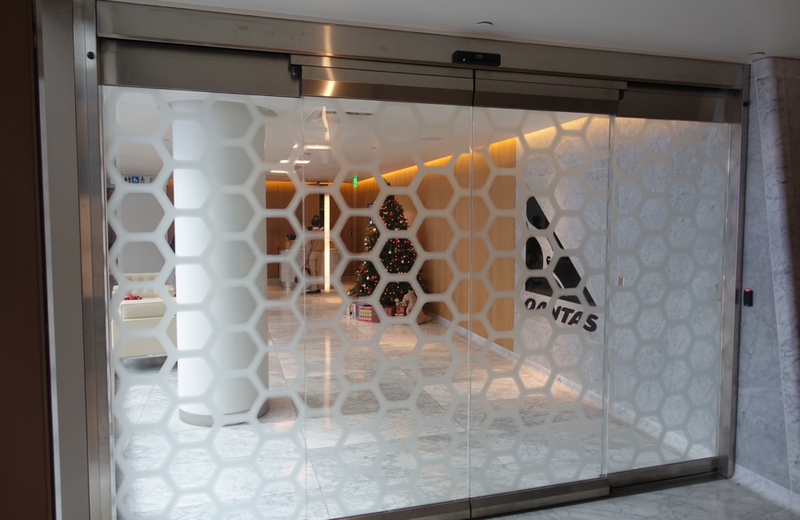 The lounge is up a level from the main concourse, and features a marble entrance with patterned glass doors. The lounge is spacious for a First Class Lounge in a United States airport, and when I arrived it was completely empty. Here is a photo of the first main seating area in the lounge. The design of this area features brightly-lit, padded red seats. In the background of the photo you can see a small bar and snack area, which is adjacent to the entrance. Often there is a selection of wines available here, but as I arrived in the morning there was not much on offer in this portion of the lounge. As you keep walking toward the back of the lounge, you next arrive in the bar and restaurant area. As you can see, like the Qantas lounge in Sydney, the décor has a vibrant and contemporary feel. The space was brightly-lit, and the focus is on the elongated bar area. Across from the bar there is another seating area which faces some windows. Unlike the Sydney lounge which provides sweeping views of the tarmac, the view from these windows was of an adjacent portion of the airport terminal. But at least the windows provided some natural light. Behind the row of slanting chairs facing the window were some very comfortable couches. As I had no slept well on the flight from Sydney, I was very glad to be able to stretch out on one of the couches and doze for awhile before my next flight. I have to say that the overall feel of the lounge and its décor is opulent, stately, but also jazzy and vibrant. I would agree that the design places this lounge at the top of my list for North American First Class lounges. Because I arrived in the morning, there were very few staff available. I was not introduced to any of the features of the lounge, nor were any of the amenities explained. This is not unusual for any First Class lounge, but given the publicity about “5-start hotel” style service, I have to say that I was not very impressed with the service. Some of the advertised services include dedicated check-in, fast-track immigration and dedicated boarding. The amenities include free WiFi, wireless printing, two private workplaces and seven shower areas. 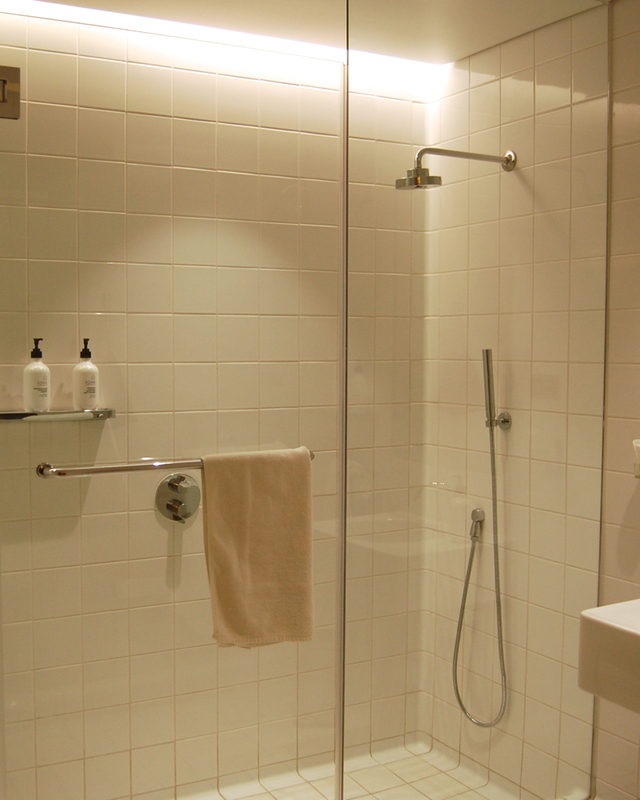 The shower areas use Aurora Spa ASPAR products. 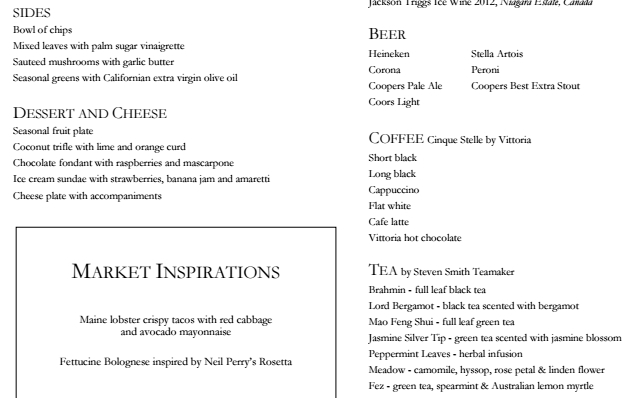 As you walk past the bar area on your right, you come to the dining area. The dining area features small, rectangular two-person tables, and in this photo to the left you can see the open kitchen, which was certainly an unconventional twist on the typical lounge design. 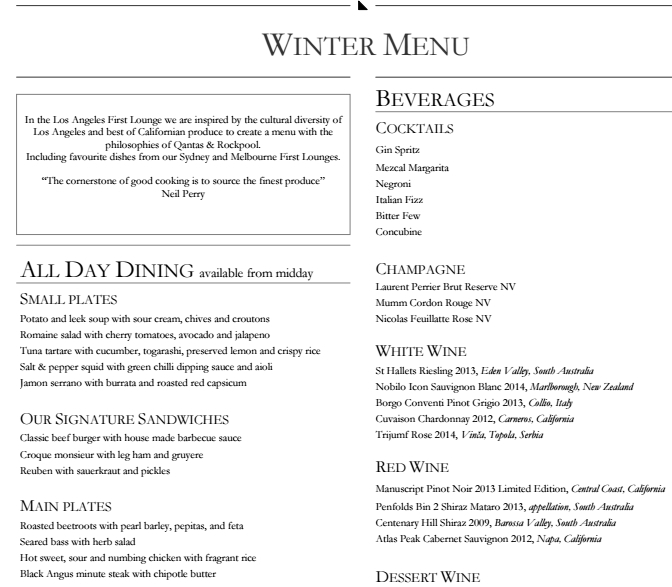 Neil Perry designed the menu, which is updated seasonally and offers a variety of different types of cuisine. Customers can also enjoy cocktails, Australian and local wines, champagne, and other beverages. I was quickly and graciously seated, and offered the menu. I chose a café latte, plum pancakes, and muesli form the menu. The first latte brought was terrible; it was lukewarm and tasted like dishwater, as if someone had made it hours ago. I promptly ordered another, which was better, but still not very good. 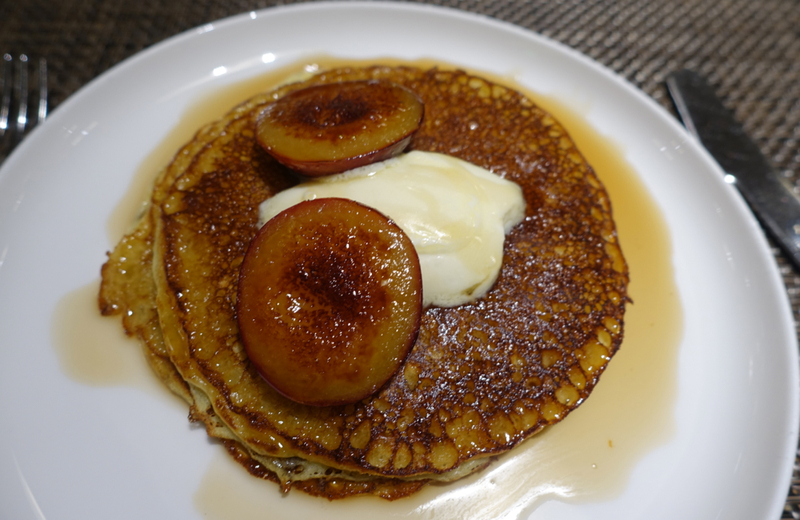 On the other hand, the pancakes were really extraordinary; the plums were fresh and exploding with flavor, and the pancakes were light, buttery and cooked to perfection. 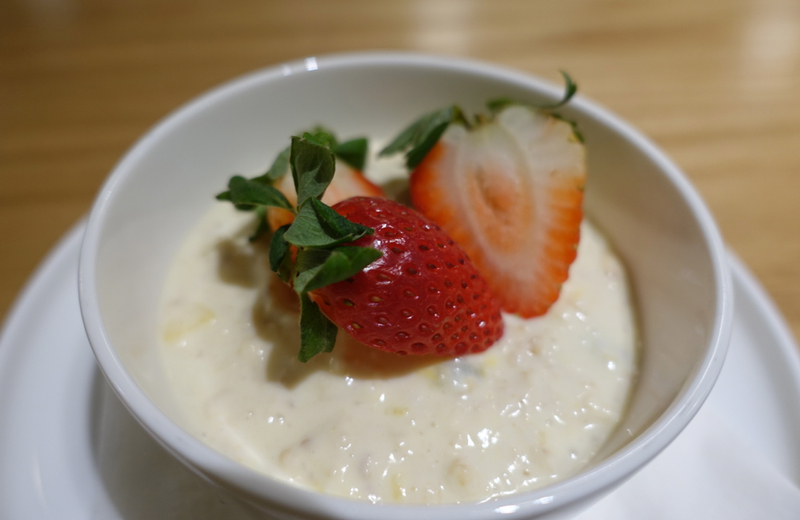 The muesli was also perfect, and tasted exactly like the muesli I have had at some of the best European hotels. I left wishing I could come back and try dinner or lunch with some of the wines. I must agree that the Qantas First Class Lounge in LAX deserves to be ranked at the very top of North American Lounges. In addition to its stylish design, the dishes I tried were fantastic–that's a rarity in any U.S. airline lounge. 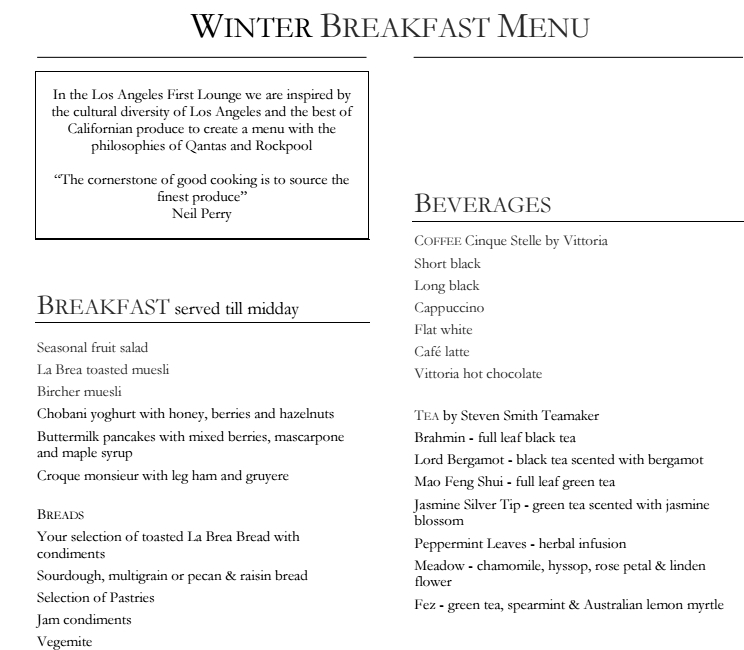 And what other U.S. lounge has free-range organic eggs on the menu? They just need to improve the espresso drinks, or perhaps my experience was a fluke. You can’t really compare the Qantas First Class Lounge in LAX to, say, the Emirates First Class Lounge in Dubai, which features nearly every amenity imaginable as well as unlimited space. And the Los Angeles Lounge does not offer a Spa or massages, unlike the First Class Lounge in Sydney. But if I had to choose my favorite US-based lounge, this is it. If you've visited the Qantas First Class Lounge at LAX, what was your experience?